Where have you done your Holiday shopping this season? 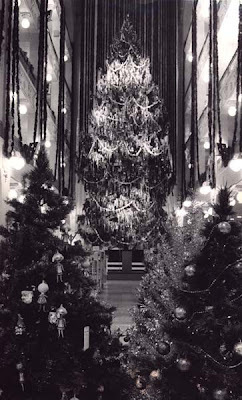 Wherever it was, I bet there was not a 73-foot high Christmas tree there like the one seen below (photo courtesy of the Cleveland Memory website) at the Sterling-Lindner-Davis store that was formerly located in Playhouse Square. 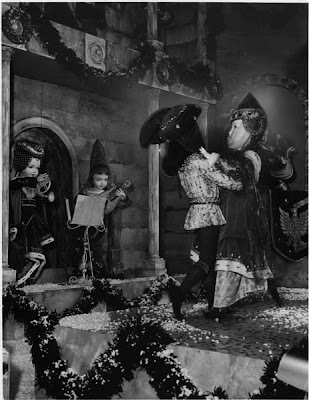 Some of the best holiday window displays that Cleveland had to offer were shown in the windows of Higbee's at Terminal Tower. Higbee's was moved to the Tower in 1931 after the Van Sweringen's purchased the company to compliment their Cleveland Union Terminal project. According to the Cleveland Memory site, this photo was taken in 1958. Kudos to Tower City for carrying on the tradition of the window display. My 3-year-old son and I thoroughly enjoyed this extremely colorful advertisement for Kringle's Inventionasium. 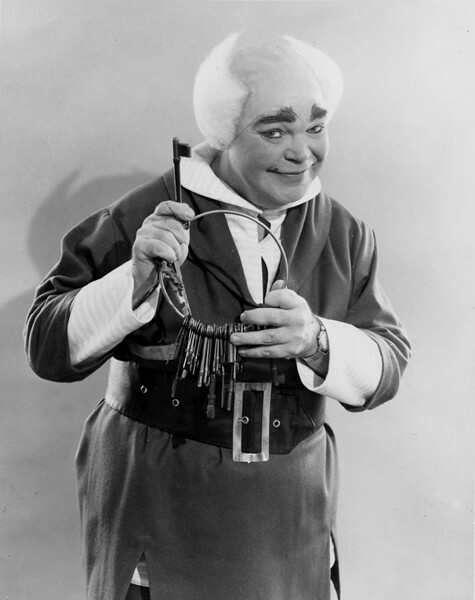 It wouldn't be right to mention the holidays in Cleveland without a nod to the Halle's created character, Mr. Jingeling who was keeper of Santa's keys. Christopher constructed an excellent three part series on Mr. Jingeling. Start reading part 1 here. It's enjoyable to look back and think about the magical feelings that Cleveland retailers and commercial districts stirred up for our young ones. Many people might remark that things just are not the same. How do you create magic for your children and grandchildren in Cleveland during the holiday season? 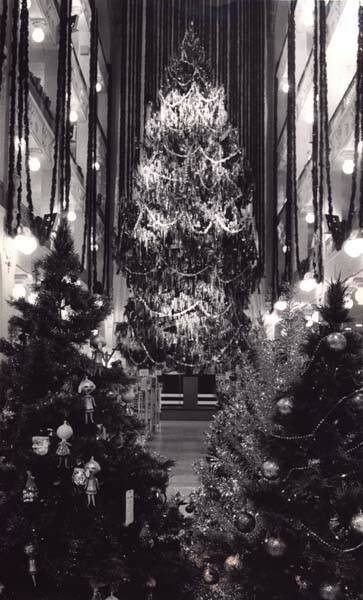 We always drove to Cleveland from Hudson to see the lights at Public Square and to look at the windows at Halle's and Higbee's after we had been to Akron to look at the windows at Polsky's and O'Neill's. I wish the stores decorated windows like that, but I also wish our downtowns still had those old department stores. Even here in Greensboro, only Belk's has made it through the takeovers and bankruptcy of these old line stores. My wife went with our girls and some other neighborhood friends down to Tower City and was delighted at the Twigbee shop, Bruce the Spruce, etc. - things she did not grow up with, but I did! My daughters loved it! We went to the lighting ceremony on Public Square and toughed it out through the cheesy commentary on stage to see the magic of the Square coming to life. Otherwise, we shopped on Larchmere, and in Gordon Square, Tremont, Market Square, Trinity Commons, and the Bazaar Bizarre. We prioritize local, independent shopping all year and especially around the holidays. Anyone who tells you that you can't do all your holiday shopping in the neighborhoods just isn't trying!